Poolball or Football? 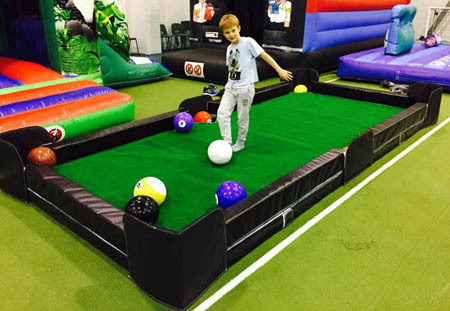 A cross between football and ball for hire from Lichfield Inflatables. Is it Footpool or Poolball? Either way it's the new must have game for 2015 that combines the games of Pool and Football. The game can be used indoors or outside and is suitable for all ages as long as they can kick a ball. If you have any queries, questions, or would like to book some of our games for your event please call us on the number below or click to enquire and we will do all we can to help.